"The staff of Panhandle Court Reporters is first class. They are extremely helpful, reliable, and accurate. They take personal interest in their clientele to assure that they very timely provide their clients with the highest quality reporting services"
-- Barry D. Peterson, attorney in general civil trial practice for 38 years in Amarillo, in all state and federal courts. been serving the State of Texas since 1960, and we look forward to serving you. 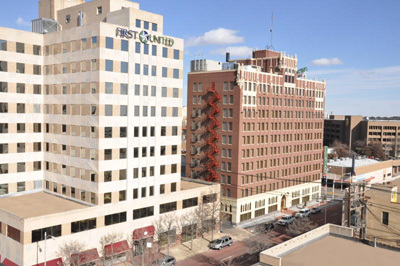 We are located next door to the new Courtyard Marriott in Downtown Amarillo.